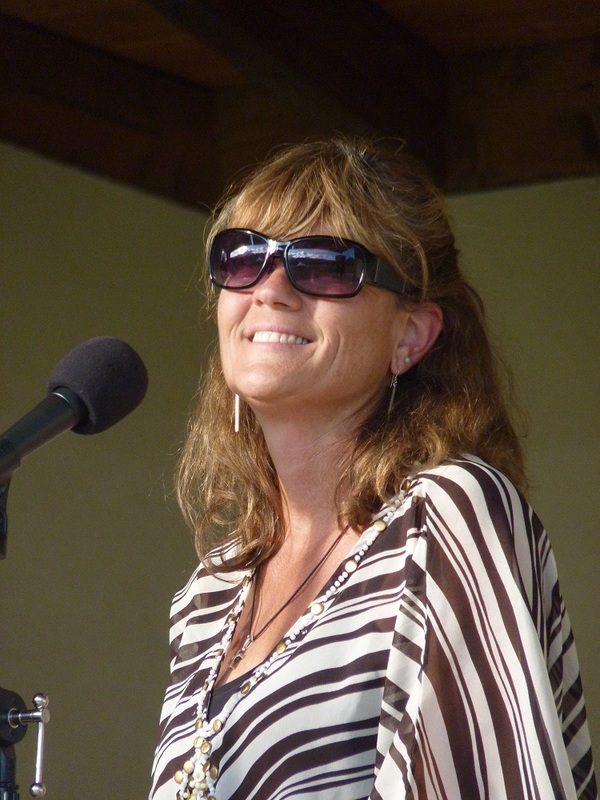 Steve Jones and the Patio Bandits (Monika Jones, vocals, and Ryan Schick, keyboard and vocals) brought the sun with them on Thursday night for Music in the Park. After a couple of days of grey skies, rain, thunder and lightning, the clouds rolled away and the sun shone just in time for their first rock’n’roll number. The audience too seemed eager to be out in the sunshine once more, celebrating the pleasant weather with some crowd-pleasing music. 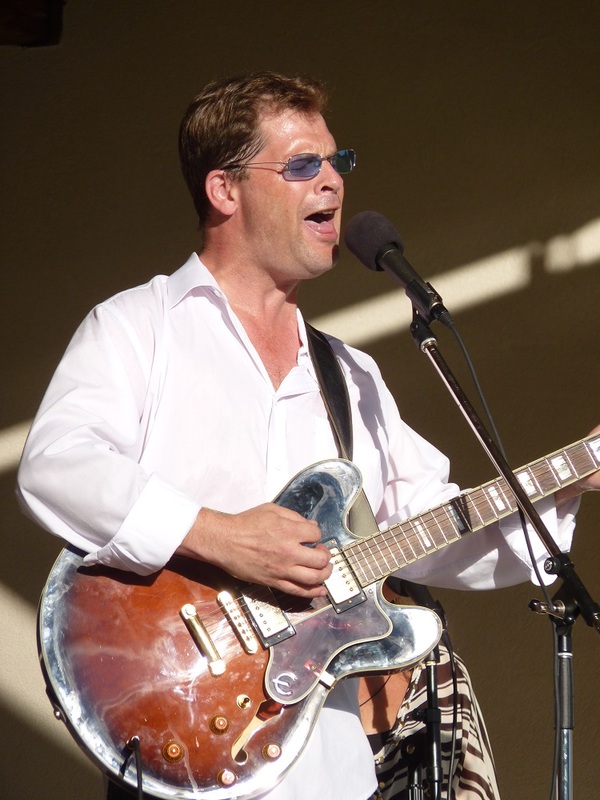 The band played a seamlessly blended mix of Steve’s original tunes, and a generous helping of rock’n’roll favourites from the Beatles, Paul McCartney, Roy Orbison, Bryan Adams, and Queen. Steve showed his ease onstage, alternating between belting out the classics with a solid rock baritone and entertaining the crowd with some light banter. Monika Jones, married to Steve for 27 years, was a sweet-voiced backup, never overpowering Steve’s pleasantly rough-edged melodies. Ryan Schick’s masterful command of the keyboard delighted many in the audience, especially on his jazz-improvised solos, Even the occasional guitar tuneup became a melodic interlude with Schick riffing on the basic guitar chords. Visit www.jonessong.com for CDs, bios, and bookings. July 24th was earmarked as the “Feed the Valley” concert, partnering with Valley First Credit Union. According to Oliver Food Bank representative Ernie Dumais, more than 200 pounds of canned and dry goods was received from a generous audience. 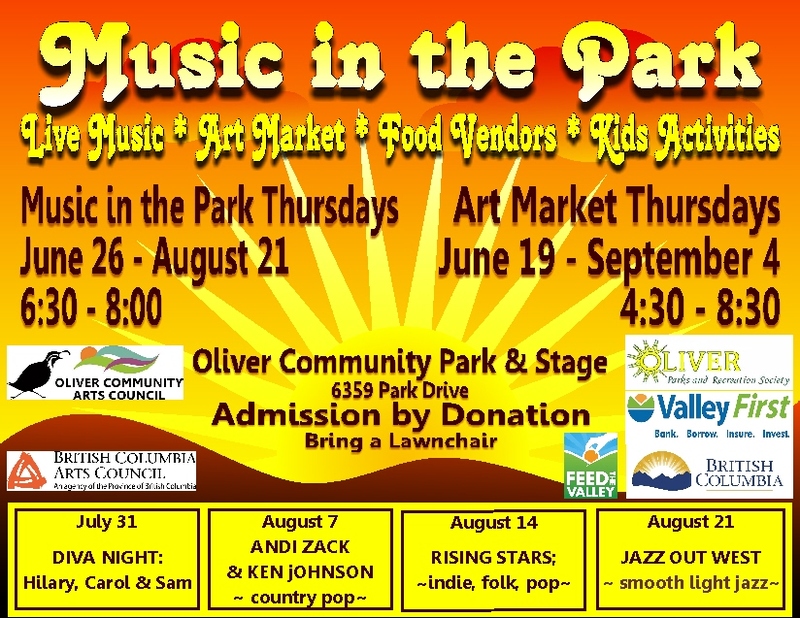 Christa Phillips, Community Investment Officer at Valley First Credit Union, said she was “proud of the four-year partnership” with the Oliver Community Arts Council’s Music in the Park. The financial institution has set a goal of raising $1,000,000 within ten years with their many Feed the Valley projects and has already raised close to $700,000 for area food banks in less than half that time. Thank you to all the Music in the Park audiences. Get set for another four Thursdays of great music! See you in the park: 6:30 – 8:00 for the concerts, and 4:30 to 8:30 for the markets.